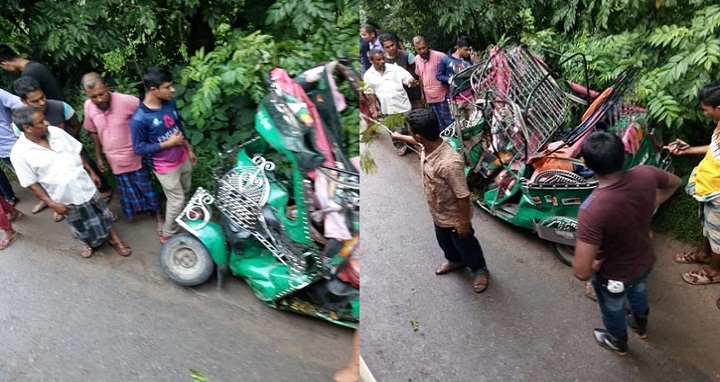 Dhaka, 3 September, Abnews: Three people were killed in a collision between a CNG-powered auto rickshaw and a pick-up van in Senbagh upazila of the district on Monday noon. The accident happened on Noakhali-Feni highway around 10:00 am. Of the deceased, two were identified as Feroza Begum, wife of Iman Ali at Uttar Rajapur of Mohmmadpur union under Senbagh upazila, and her son Mohan. Injured are Morzina, wife of Mohan (28), her son Miraz Khan (7) and Masud (40). They have been admitted to Noakhali General Hospital in critical condition.